ROAD TAX 0 Zero, MOT valid until 08/10/2019. We will service the Mitsubishi prior to collection. Also includes 12 months FREE RAC Recovery the balance of the Mitsubishi new car Warranty, valid until 09/10/2020 or 62,500 miles, whichever comes first. 1 Owner, Full Main Dealer Service History. 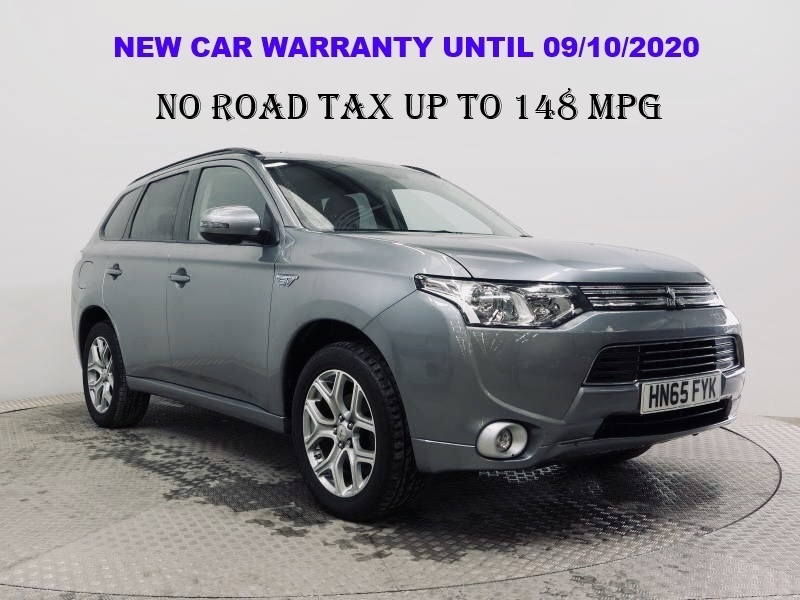 Mitsubishi Outlander 2.0 PHEV 4x4 GX3H Auto 5dr Electric Hybrid 5 seats 1 Owner From New, Full Mitsubishi Main Dealer Service History - 26,043 Miles - Brilliant Mitsubishi Plug - in Hybrid Up to 148 MPG ( 22 Miles in ECO using Electric power only ) 2015 registered in Metallic Atlantic Grey.